Catapult arms are designed to put maximum power to the ground to deliver ultimate performance off the line. Stock trailing arms are flimsy and weak, leading to poor handling and excessive wheel hop. Competitors steel lower trailing arms with polyurethane bushings are heavy and dont allow the axle to move freely throughout the range of motion. 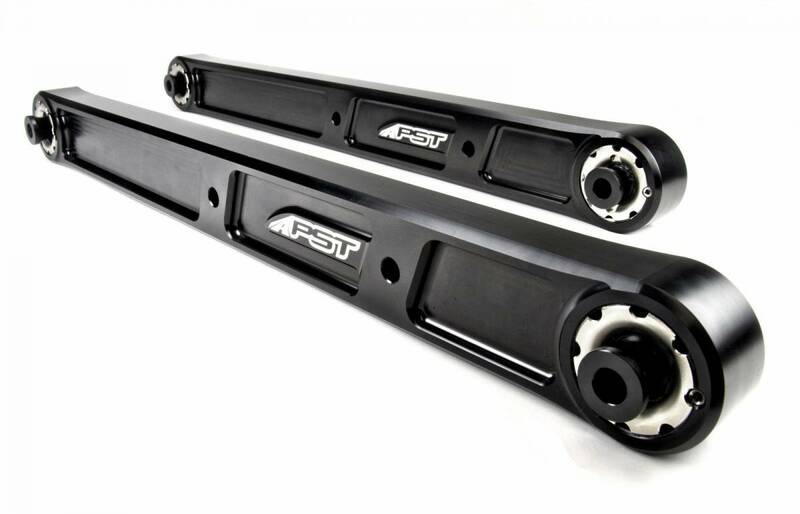 PSTs Catapult Billet Aluminum Lower Trailing Arms solve this problem with an innovative solution that delivers smooth, consistent, predictable handling for your GM A-body: the Alu-Max Pivot Joint, a low-friction spherical joint that allows for 30 degrees of articulation for bind-free movement.